Strenuous athletic activity can increase the chance of cardiac arrest and many sports centers are required to have an AED readily available at events and practices. 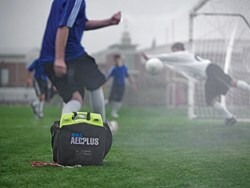 In response to this growing need, AED.com has designed all-inclusive AED packages to meet any requirements and protect players, coaches, and spectators against sudden cardiac arrest. We believe as more sports teams and facilities implement AED programs, we will see less tragedies like Jones’. To view the AED Sports Packages from AED.com, please click here. 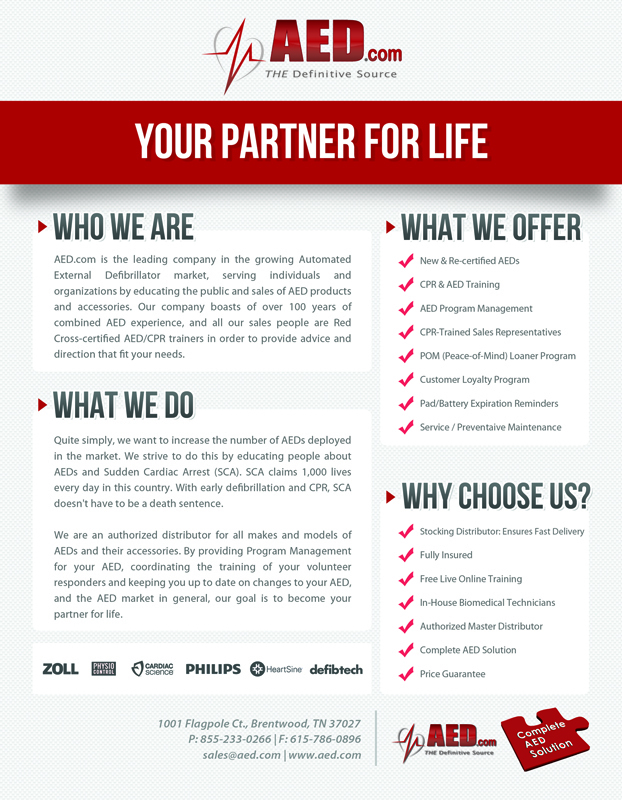 AED.com is located in Brentwood, TN and serves customers in all 50 states and over 40 countries worldwide. For more information, please visit: http://www.aed.com/.